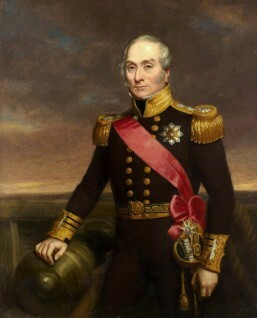 Jade King raised the question of whether John James Masquerier (1778–1855) painted this portrait of Admiral Otway. This derived from Tim Williams’ suggestion in a previous Art Detective discussion that other paintings by Masquerier may have been incorrectly attributed to different artists. Oliver Perry started the discussion by highlighting that Maxim Gauci’s lithograph of Otway after Masquerier shows significant differences from this one. Therefore, even if this painting were by Masquerier, it must have been modified after the print had been made. Later comments suggested other artists, such as Rembrandt Peale and Sara Miriam Peale, who worked in Philadelphia in the early-nineteenth century. However, Pieter van der Merwe pointed out that it was unlikely that Otway would have been in Philadelphia in the final years of his life. As a result, these artists were ruled out as contenders. Andrea Kollmann proposed an attribution to John Lucas, using comparisons with Lucas’s portraits of other admirals. Although some debate remained about an attribution to Lucas, as his paintings usually have a background quite different from this one, the discussion was closed, on the basis that Lucas was a better attribution than Masquerier. Is this portrait of Admiral Otway by John James Masquerier (1778–1855)?